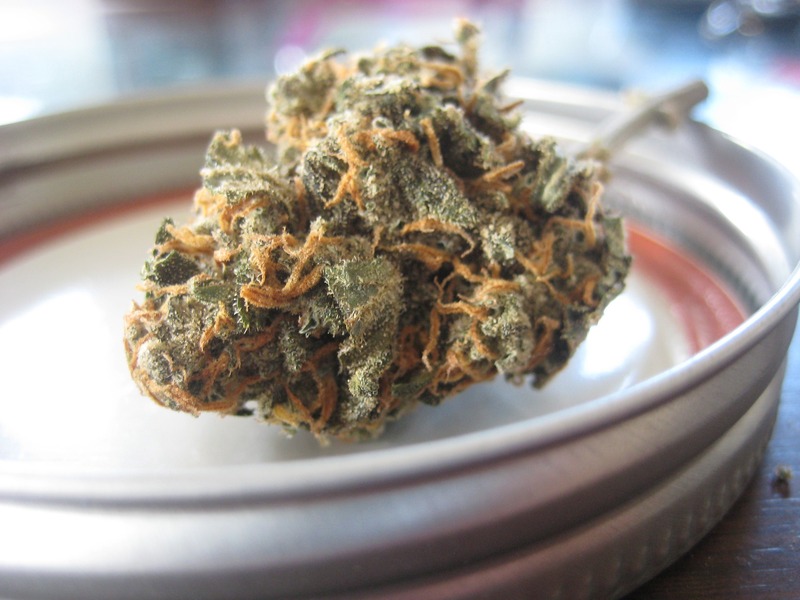 CONCORD, N.H. — On Tuesday, the inaugural meeting of New Hampshire’s marijuana legalization study commission will take place in Concord. The commission, which was created by the passage of HB 215, is tasked with studying the potential impacts of legalizing, regulating, and taxing marijuana for adults’ use. The meeting is scheduled for 9 a.m. in Room 201 of the Legislative Office Building in Concord. Advocates will be there to observe and participate, despite the concerns they have raised regarding the make-up of the commission. “Regardless of what this commission decides to recommend, most Granite Staters clearly recognize that marijuana is less harmful than alcohol, and they’re ready for the state to start treating it that way,” he said. Eight states have enacted laws legalizing and regulating marijuana for adult use, including Massachusetts and Maine, all through ballot initiatives. 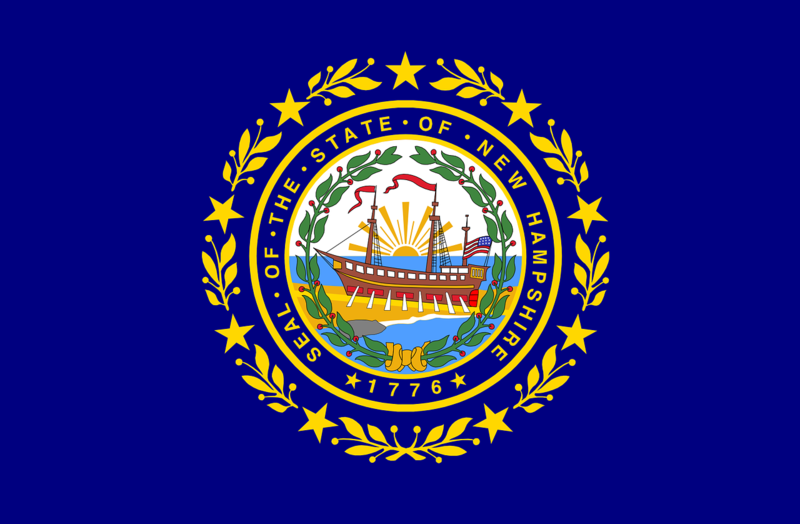 A poll conducted by the University of New Hampshire Survey Center in April and May of 2017 found that 68% of Granite Staters support legalizing marijuana. 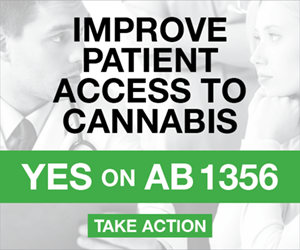 The above press release from the Marijuana Policy Project is reprinted with permission. Marijuana Moment is republishing the following press release with the permission of Grasslands. DENVER, Colorado—April 27, 2018—Embattled Colorado newspaper The Denver Post is no longer staffing its groundbreaking, first-of-its-kind marijuana news vertical The Cannabist, newsroom leadership confirmed Friday—a decision that is surprising cannabis and journalism circles today. The Cannabist was founded in 2013 by veteran journalist Ricardo Baca as the world’s first adult-use cannabis market was about to launch in Colorado. 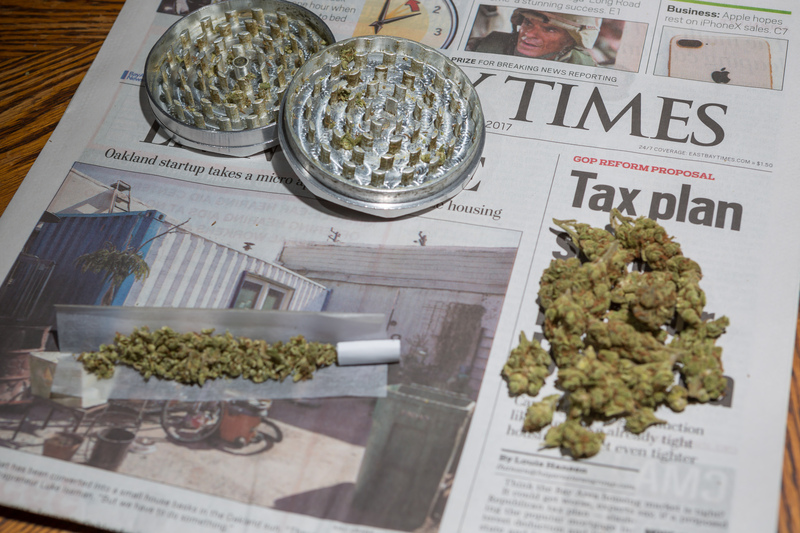 As The Post’s first-ever Marijuana Editor, Mr. Baca and his team created the site from scratch and developed a robust national readership that appreciated the unique vertical’s journalism-first approach to covering the newly legal industry, the policy surrounding it and the culture that grew from legalization. Feature-length documentary Rolling Papers—a film “more about marijuana journalism than the big picture, and as such it’s a worthwhile endeavor,” wrote Chicago Sun-Times film critic Richard Roeper in his three-star review—documented both The Cannabist’s debut and the 2014 world premiere of state-regulated legal marijuana sales. As the site’s founder and original editor-in-chief, journalist and thought leader Ricardo Baca was brokenhearted to hear the news. “I am absolutely gutted today,” says Mr. Baca, who founded Grasslands: A Journalism-Minded Agency in early 2017 after resigning from The Post, where he worked as a reporter, critic and editor for 15 years. “We were so lucky to know The Cannabist as we did, and The Denver Post was lucky that we caught this lightning in a bottle during those historic days. We avoided the blind, pro-legalization activism of publications like High Times, and we also were an objective news source to counter prohibitionist misinformation that had plagued so much of the mainstream media’s irresponsible coverage of cannabis throughout the last eight decades. “But it’s devastating to have helped create a news and culture site that changed the way so many people, journalists included, talked about marijuana—and to watch it fall apart, especially now that legal cannabis is increasingly becoming the law of the land. Now more than ever, we need serious journalists covering these state-legal marijuana markets, but this trend is not encouraging, as we’re also seeing staff reductions at the San Francisco Chronicle’s Green State vertical and elsewhere. If The Post’s most recent staff reduction broke my heart, which it unquestionably did, this news about The Cannabist losing its dedicated staff is thoroughly drubbing the rest of my internal organs with a meat tenderizer. In less than two years under Mr. Baca’s leadership, The Cannabist was luring more readers than veteran publication High Times’ website, according to media-tracking organization comScore. In less than three years, Mr. Baca had grown the staff from just himself to a seven-person full-time team that included four editorial and three advertising employees. But after Mr. Baca resigned from The Post in December 2016, the newspaper started making cuts to the vertical’s staff, nixing the General Manager advertising position and reassigning the remaining two Cannabist-focused sales staff in early 2017. That December, The Cannabist’s editorial staff was cut from four to three during a separate newsroom-wide staff reduction. And in April 2018, after the newspaper’s editor told newsroom staff that it would be laying off one-third of its editorial employees, two Cannabist staffers announced they were leaving for other opportunities; later that month, Cannabist editor-in-chief Alex Pasquariello was told the paper was cutting editorial staffing to the site and that his position no longer existed. The Denver Post has been in the national news recently because of a historic staff reduction and the resulting editorial-page public revolt against the newspaper’s hedge-fund ownership via a package of op-eds and columns. Mr. Baca returned to newsprint recently to pen one of the cover op-eds for The Post’sattention-grabbing opinion section. Mr. Baca’s agency Grasslands is in early discussions with Post leadership about potentially purchasing The Cannabist should they decide to sell it. Grasslands is a journalism-minded agency, helping clients in a variety of industries with informed public relations, thoughtful content marketing, contextual social media, top-notch thought leadership work, impactful newsletter campaigns and compelling event execution. The Content Team, led by 20-year newspaper veteran Ricardo Baca, has nearly 45 years of top-level journalism experience at outlets including The Denver Post, the Chicago Sun-Times, the Rocky Mountain News, The Daily Beast and elsewhere. The Public Relations Team, led by 20-year New York City agency veteran Shawna McGregor, has nearly 35 years of high-level communications experience with clients including People magazine, IKEA North America, K12 Inc. and the American Wind Energy Association. Join the Grasslands conversation on Facebook, Twitter and Instagram. The following is a press release from the Oregon Liquor Control Commission. Portland, OR – The Oregon Liquor Control Commission has conducted the first of its statewide minor decoy operations to determine if marijuana license retailers are complying with state laws and OLCC regulations ensuring minors aren’t able to enter the business to purchase marijuana products. During the sales checks, a minor volunteer attempts to enter a licensed marijuana retailer and/or purchase marijuana products from a licensed business to see if staff are checking ID’s correctly and refusing entry to anyone under 21. Commission inspectors supervise the minor volunteers. The volunteers carry their own legal ID that identifies them as under 21 and do not disguise their age or lie to encourage the sale of marijuana. The Oregon Driver license for a minor carries a red border around the picture with the words “Minor Until” followed by the date of his/her 21st birthday. To see a list of marijuana retailers that were included in the sting operation, go here. 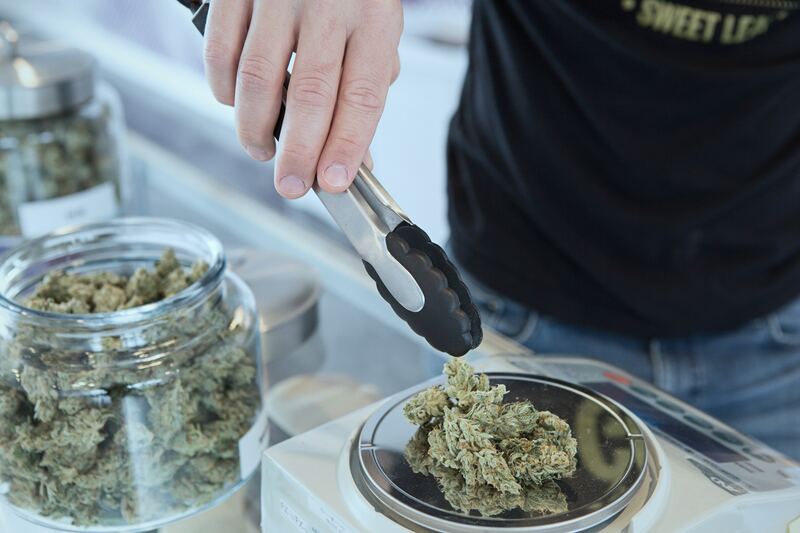 The following is a bulletin the Oregon Liquor Control Commission sent to marijuana business operators about how to stay compliant with state laws while entering their products into cannabis cup competitions. The Oregon Liquor Control Commission is providing the following information to: recreational marijuana licensees. The Oregon Liquor Control Commission has been receiving an increase in questions regarding how licensees can enter into Cup Competitions and remain in compliance with recreational marijuana laws and rules. Although you may have entered Cup Competitions in the past as an Oregon Medical Marijuana Program registrant, the allowances in the OLCC system may differ from what you are used to. It is important that you understand the proper process for entering these competitions as well as what is – and is not – allowed.